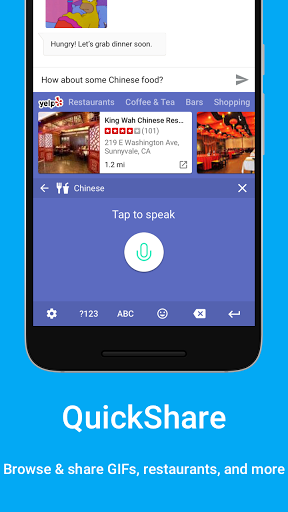 TalkType Voice Keyboard is a free Android keyboard app developed by Baidu Research. This app is recommended for friends. 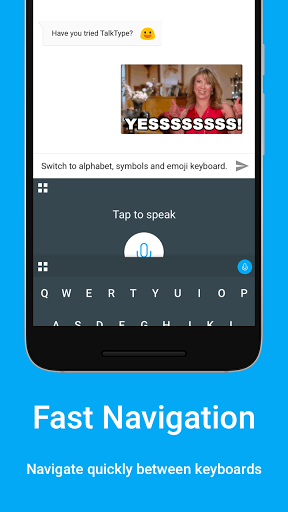 TalkType is the first voice-centric keyboard (currently available in US and Canada and supports English only). 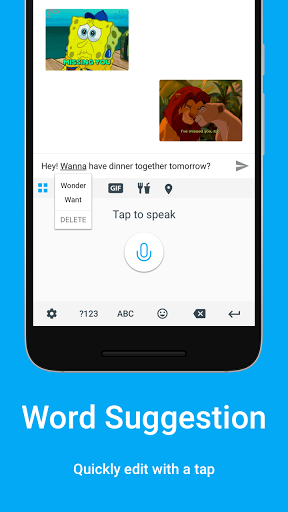 Powered by Baidu’s Deep Speech 2 recognition system, TalkType provides an extremely accurate voice to text experience that will boost your input speed to the limit! Why type on your phone’s tiny keyboard when you can tell it what to type instead? 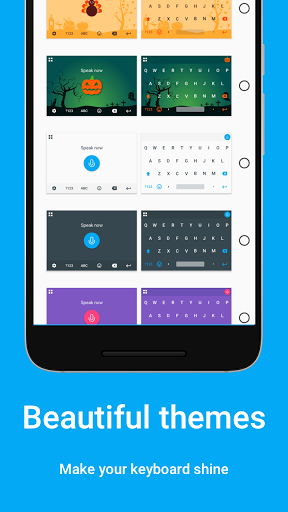 TalkType redefines the entire experience of typing on your mobile device, you've never realized how easy, fast, natural and comfortable typing is with your voice! According to a research study by Stanford , our DS2 speech system is up to 3 times faster with an error rate 20% lower than typing on a touch screen keyboard. 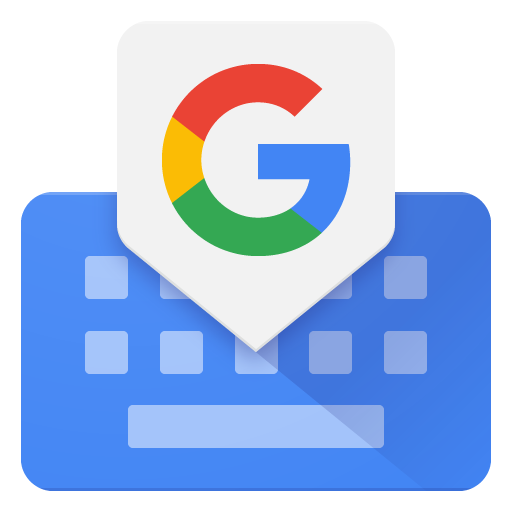 While presenting the best voice interface, we haven't ignored the regular alphabet keyboard either. 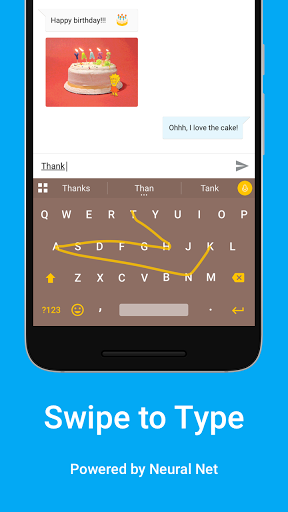 TalkType provides a fully functional keyboard with Swipe, Emoji, GIF sharing, themes and more. You don't have to give up your favorite keyboard features in order to get the best voice experience! Finally, TalkType is always free, no ads and no in-app purchases! 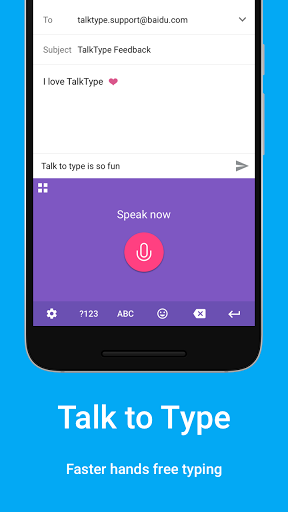 Features: Talk to Type : Faster hands-free typing with voice input. Simply tap the microphone to dictate. 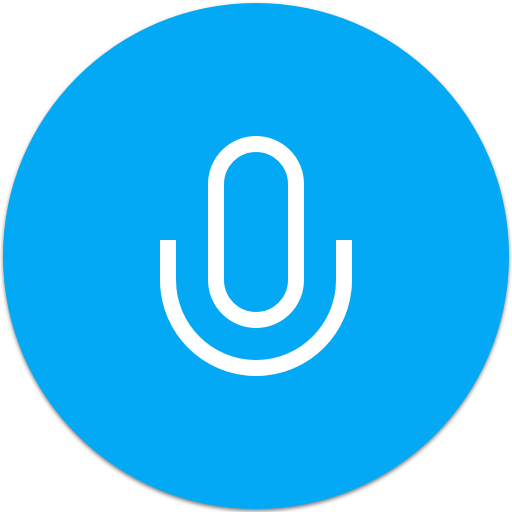 The best-in-class voice recognition provides you a fast, accurate and seamless dictation experience. Automatic Punctuation : TalkType is able to predict and add the right punctuations, including commas, periods and even question marks, automatically without you even needing to pause. 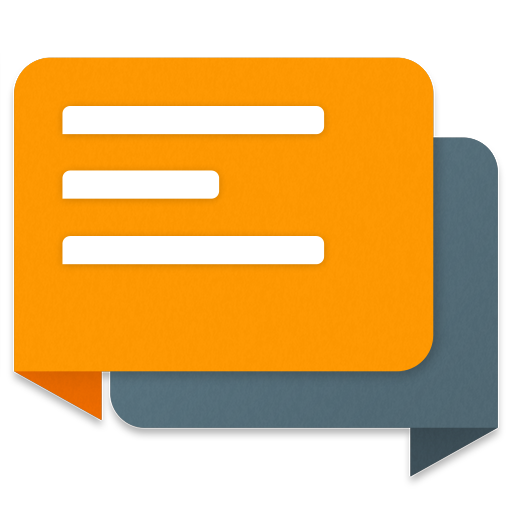 Voice Command : Instead of adding punctuations automatically, you can also use voice commands to input punctuations such as “comma”, “period”, "Question mark"and "Exclamation point". Word Suggestion : Tap underlined words to view the suggested alternatives. 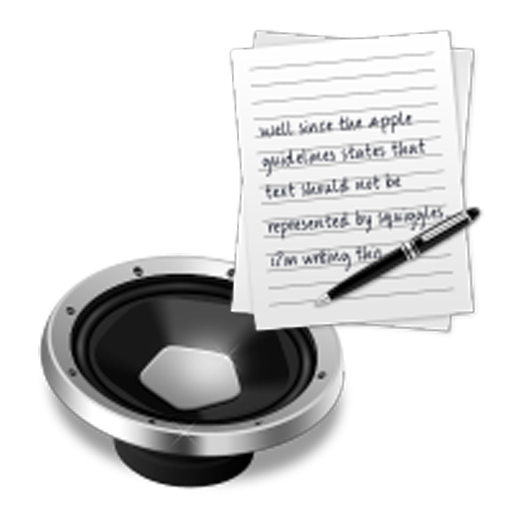 It enables a quick correction of words via dictation and replacement. 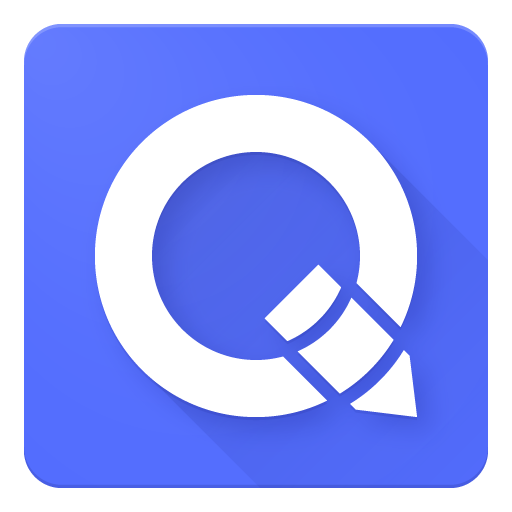 QuickShare : Browse, search and share GIFs from Giphy or restaurants and places from Yelp. Or even share your current location. More excitements coming soon! Trackpad : Move quickly between words and select. It helps you navigate, select and edit text more efficiently. 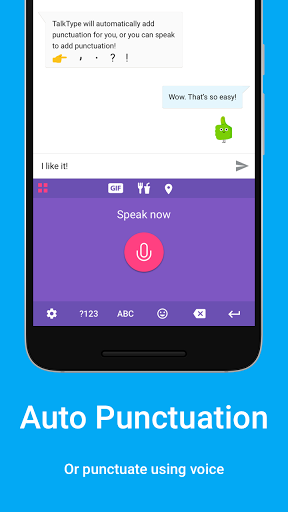 You can either use voice input or type to edit a word after selection. Single-word selection: Place one finger on the trackpad and move to navigate and select words quickly. To cancel selection, tap on the trackpad. Multi-word selection: Place two fingers on the trackpad and move to navigate and select multiple words or sentences. To cancel selection, tap on the trackpad or swipe with one finger. Swipe : Can't talk? You can swipe to enter text! Just swipe your finger from the first word to the last word. 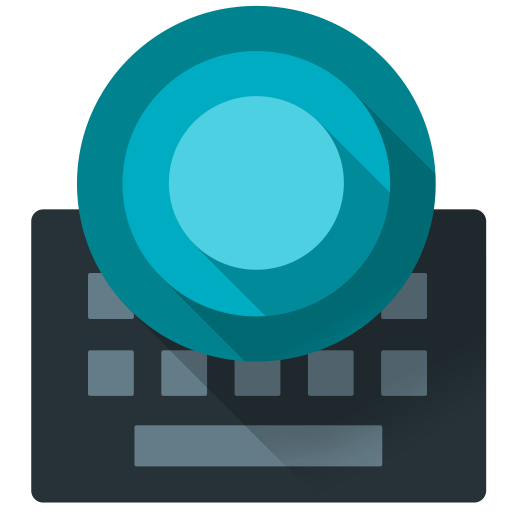 (only available on non-tablet devices) Beautiful Themes : Beautiful material themes to make your keyboard shine. 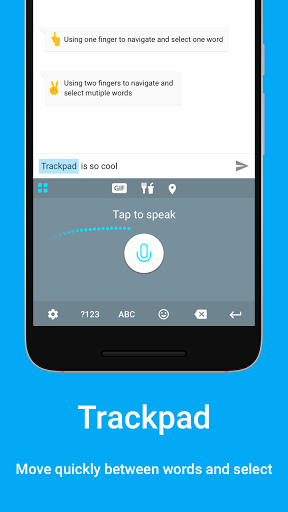 (only available on OS 5.0+ devices) We will be continuously improving TalkType! If there is any feedback or issues, please email us at talktype.support@baidu.com or visit: http://talktype.baidu.com/ If you enjoy TalkType, please leave a nice review! 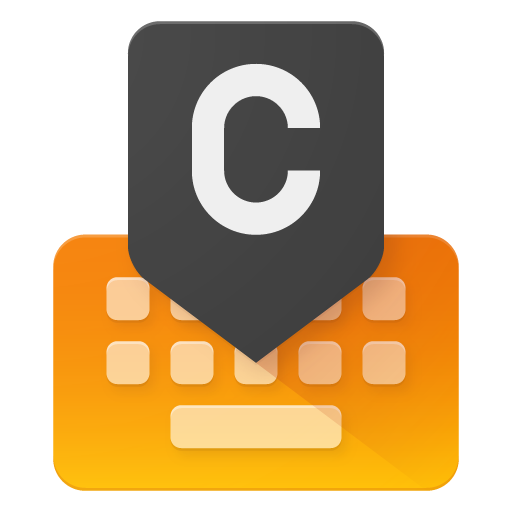 "QuickEdit is a fast, stable and full featured text editor for Android ..."
"Chrooma Keyboard is a lightweight, fast keyboard that adapts its color..."
"Send voice emails easily to a preset email address! (Email voice memo)..."
"EvolveSMS is a powerful texting replacement app that makes talking to ..."